Our system of Westminster parliamentarism depends upon unwritten constitutional conventions. I will discuss my take on convention in further detail in subsequent posts, but generally, a constitutional convention evolves from a custom or practice that served a valuable purpose and ultimately became integral to parliamentary government. Sometimes these customs develop by design, usually after a significant written declaration; for instance, after The Great Charter of King John of 1215, customs evolved in order to accommodate that supreme written law that parliament must approve any and all levying of taxes. But during the Middle Ages, Kings still exercised the prerogative power to dissolve parliament and would sometimes extract Parliament’s approval to levy a specific tax in order to finance his war and then simply dissolve it. The idea of “grievance before supply”, which forced the King to take the grievances of his people’s representatives into account before asking them to approve taxes, arose in response to this development (I suspect, in this case, more by design than by chance). But sometimes a custom that leads to the founding of a significant constitutional convention does develop by pure happenstance from seemingly the most minor of causes. As my friend Nick MacDonald recounted, the entire development of cabinet government started by accident. After Queen Anne Stuart died in 1714 with no legitimate issue, Parliament formally changed the line of succession by invoking the Act of Settlement of 1701 and declared that the Crown would then pass onto the closest Protestant relatives of the Stuarts, Sophia of Hanover and her descendents. The Crown thus passed to the German-speaking George of Hanover, who became George I. Precisely because he spoke very little English and was a foreigner whom Parliament had invited to become King, he needed to rely on Parliament for advice more than his predecessors. Parliament itself was also maturing into an institution that supported a polarized two-party system of Whigs (I would have been with them!) and Tories. 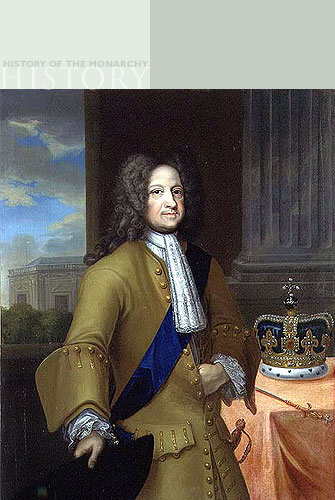 George I gradually withdrew from the meetings of the King’s Privy Council, which allowed the privy councillors, drawn from Parliament, to govern collectively. This custom eventually evolved into the Cabinet. 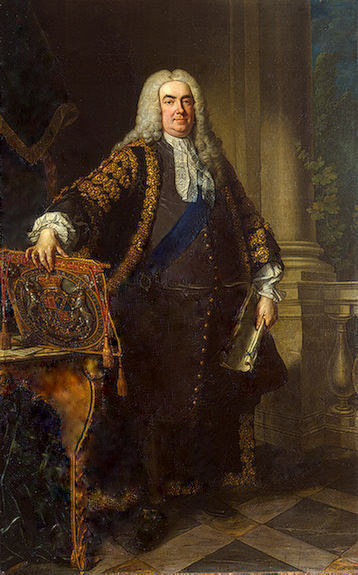 And one of the Privy Councillors, Sir Robert Walpole, became the King’s chief advisor, or Prime Minister, if you will. So there you go. We have cabinet government and responsible government today because George I didn’t speak English very well. This entry was posted in Cabinet's Powers, Origins. Bookmark the permalink. Referencing the tax levy in the introduction to contrast with the “accidental” conventions in the body of your argument was a great structure. Since you’re positioning your blog to be of the academic orientation, my only suggestion is to reference more. While you do have links to the Official Website of the British Monarchy, the Great Charter of King John for example, could’ve benefited from a reference. I’ll let people find a copy of Magna Carta for themselves! Very interesting and enjoyable to read. buenos dias. i enjoy reading your blog The Accidental Development of Cabinet Government | Parliamentum and will certainly post a link to http://jameswjbowden.com/2011/07/14/the-accidental-development-of-cabinet-government/?replytocom=8 on my site.